Glaucoma is a group of eye disorders that damage the optic nerve, which is responsible for transmitting light from the retina to the brain. Often referred to as the “silent thief of sight,” most cases of glaucoma do not exhibit any noticeable symptoms in their early stages. By the time symptoms do appear, irreversible vision loss has already occurred. To date, there is no cure for glaucoma, but early detection and treatment are critical for slowing the progression of the disease and preventing permanent vision loss, including blindness. 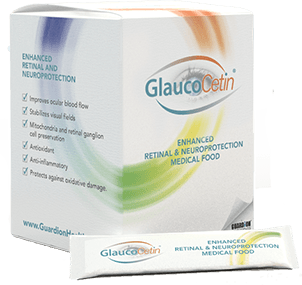 Also, new research into the underlying mechanisms of glaucoma progression and optic nerve damage have led to the development of new types of treatments, like GlaucoCetin. 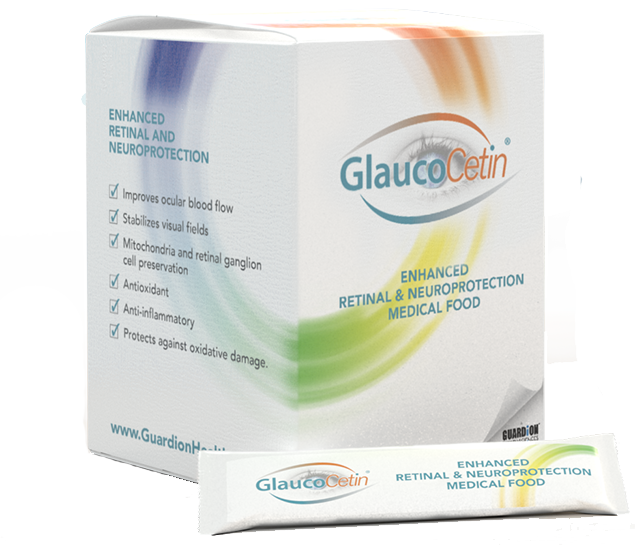 GlaucoCetin is the first Medical Food designed to reverse the underlying mitochondrial dysfunction that leads to optic nerve death and vision loss in glaucoma. Elevated intraocular pressure (IOP) is the most common known risk factor for glaucoma. 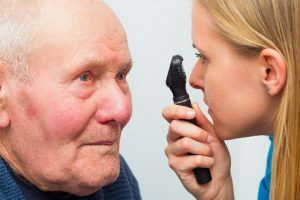 Standard treatment for glaucoma is directed at lowering IOP, which has long been stated, and still is, the only proven modifiable risk factor for reducing progression of the disease. This concept of reducing IOP as the only or primary treatment, however, is finally beginning to change. 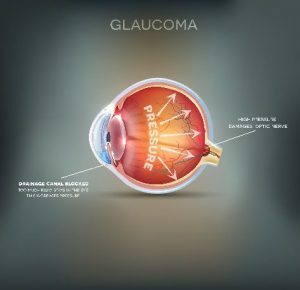 Glaucoma is not one disease, but the final common pathway of many different disorders originating at the genetic, mechanistic, and pathophysiologic levels. Long considered an eye disease, this final common pathway, retinal ganglion cell death and visual loss, is actually a brain disease. Diseases which originate in the anterior segment of the eye, leading to blockage or dysfunction of the trabecular meshwork and aqueous outflow pathways, followed by elevated IOP and glaucoma, such as exfoliation syndrome or pigment dispersion syndrome or high-tension primary open-angle glaucoma, are considered eye diseases. But the final pathway, glaucoma affects the optic nerve, which is part of the brain. In addition, multiple structures in the brain have recently been found to be affected by cellular loss, including the lateral geniculate bodies and visual cortex. No all glaucoma patients have high pressure. Normal-tension glaucoma, in which IOP is not elevated, comprises the majority of cases of primary open-angle glaucoma in some countries, such as Japan and Korea, and is being increasingly found in other areas where the disease had previously gone undiagnosed. Normal-tension glaucoma is often associated with reduced perfusion pressure in the eye, that is, how much force there is driving blood into the eye. Multiple risk factors lead to decreased mean ocular perfusion pressure and ischemia at the level of the optic nerve. These include obstructive sleep apnea syndrome, low nocturnal blood pressure, Flammer syndrome, and low intracranial pressure. Glaucoma is the second leading cause of blindness in the U.S., behind macular degeneration. It is the leading cause of blindness among African Americans and Hispanics in the U.S.
Because glaucoma primarily occurs without symptoms in its early stages, it is estimated that only half of the 3 million Americans with glaucoma are aware that they have the disease. Approximately 2.7 million Americans age 40 and older have open-angle glaucoma, the most common form of the disease. Globally, approximately 60.5 million people were diagnosed with glaucoma in 2010. This number may increase to almost 80 million by 2020. Glaucoma costs the U.S. economy approximately $2.86 billion each year in direct costs and productivity losses. Individuals age 40 or older, or with other known risk factors for glaucoma, should have regular comprehensive eye exams to get tested for signs and symptoms of glaucoma and other eye diseases. In the cases of angle-closure glaucoma, a type of eye disease where fluid is abruptly blocked from leaving the eye, symptoms occur suddenly and can include those mentioned above as well as severe eye pain, nausea and vomiting. Treatment for glaucoma is focused on slowing the progression of the disease and preventing further vision loss. Standard treatment options include eye drops and pills designed to lower IOP and minimize damage to the optic nerve. For more advanced cases, selective laser trabeculoplasty (SLT) may be recommended to improve the fluid drainage from the eye and reduce IOP. A more advanced surgery called trabeculectomy involves making a tiny flap on the outer layer of the eye and creating a filtration hole to improve fluid drainage and normalize IOP levels. A new procedure called MIGs has been approved by the FDA and involves inserting small implants or stents into the drainage channel to improve outflow. For angle-closure glaucoma, iridotomy can be performed to create microscopic holes in the iris to relieve blockage and improve outflow. Treatment is based on the severity of the disease and may include a combination of medications and surgery. As mentioned above, new treatment modalities focus on the underlying mechanism of optic nerve damage, which is called “mitochondrial dysfunction.” Please read about this new line of research and its treatment on other pages of this website. 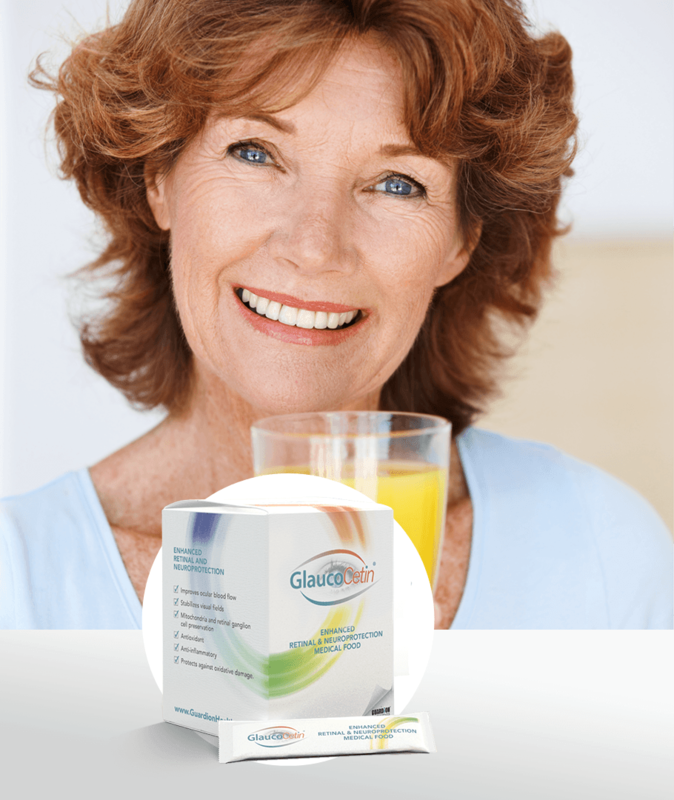 To learn more about glaucoma, contact Guardion Health Sciences.